There are 78 mixed services locos capable of running both Mail / Express, passenger and freight services. The horse power of these locos varies from 2600 to 3300 hp. 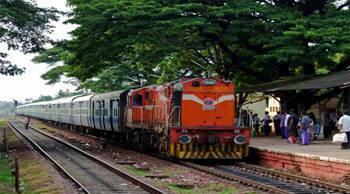 Prestigious trains such as Duranto Express, Goa Express, Jhelam Express, Indrayani Express etc. is being run with these locos. 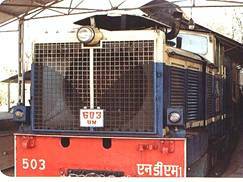 There are 108 such locos for running freight services. The horse power of these locos varies from 3100 to 4500 hp. These locos transport commodities such as coal, cement, steel, fertilizer, food grains salt, sugar etc. from one end to the other end of country. 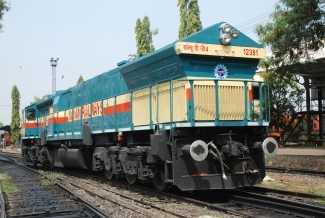 88 locos are available with Central Railway to cater to shunting requirement such as shunting of Mail / Express / Passenger rakes from station to maintenance sidings, freight trains in yards etc. These are low horse power locos. ApartApart from B.G. 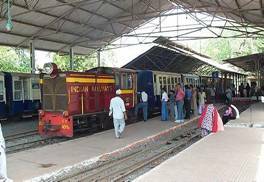 services, Central Railway is also plying Narrow Gauge trains run by N.G. locos. There are 19 N.G. locos on Central Railway running N.G. Coaching train/ Toy train in Neral-Matheran section (Mumbai Division), Yavatmal - Murtazapur-Achalpur section (Bhusawal Division) and Pachora-Jamner section (Bhusawal Division) These N.G. Locos are being maintained at Neral, Murtazapur & Pachora Diesel Sheds.